Looking for a soft and minimalist kimono cardigan? Look no further! 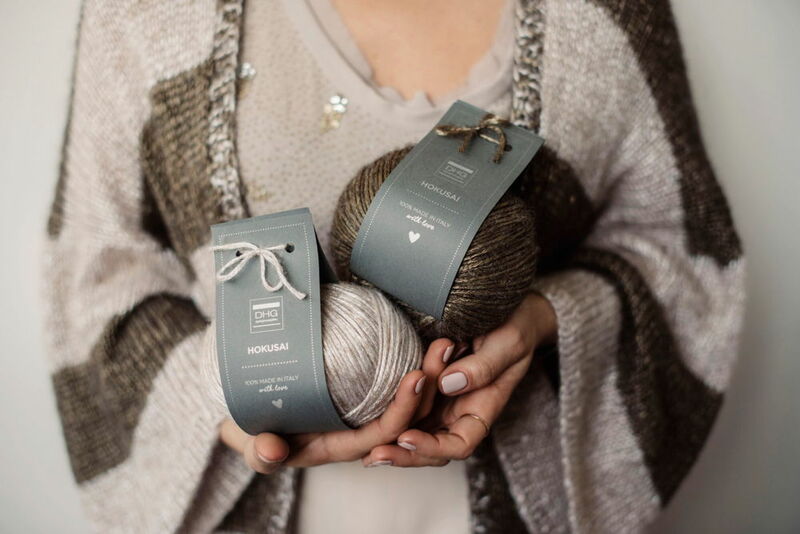 New colours now available in our soft and warm Hokusai yarn. We’ve decided to celebrate the growth of the collection with another free and exclusive pattern by Knitting For Breakfast. It’s a really easy to make garment and ideal for spring and autumn, to wear with a pair of jeans but even over a dress during the day. We’ve chosen to do it two-tone with thick stripes, but you can choose to repeat the stripes – perhaps with different colours – or go for a plain colour. Let’s get started straight away with the tutorial. 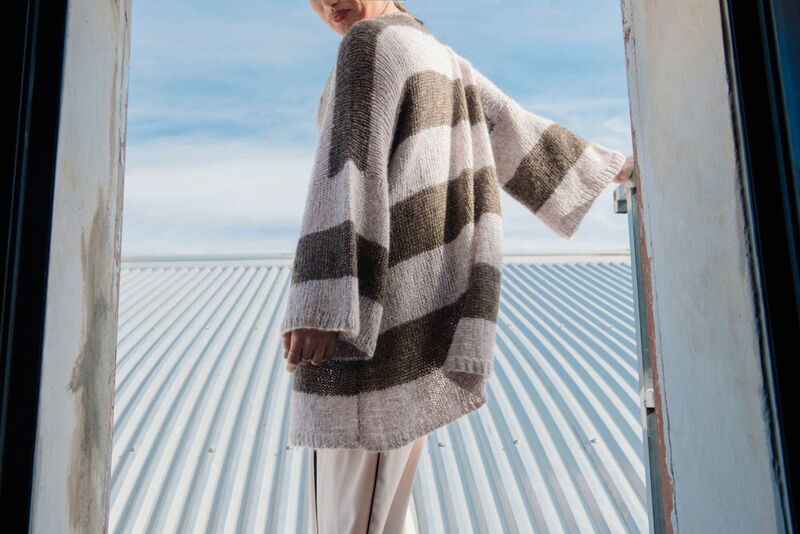 This kimono cardigan is worked with flat knitting needles back and forth. We’re going to work the pieces separately, first the back then the two fronts and lastly the sleeves. The pieces will then be sewn together. Finally, the front hem will be picked up and made by a 2-ply yarn, one for each colour. Remember to do like this for both sides of the kimono cardigan. Repeat the whole of the second part for the front. Below we’re going to explain how to make the sleeves of the kimono cardigan, remember you’ll need to repeat this step to get both sleeves. Firstly, sew the shoulders like this: position one at the front and one at the back, the right sides facing each other, and sew the two parts together (34 stitches) using the same yarn as the work. Repeat the same thing for the other shoulder. Now join the sleeves of the kimono cardigan together. Sew the first sleeve by lining the centre of the sleeve up with the shoulder seam. Repeat for the other sleeve. Here, we sew up the sides of the kimono cardigan and the sleeves in this way: align the sides of the kimono cardigan up to the sleeves and sew them together with an invisible seam. Repeat everything for the other side. To finish off the central hem of the kimono cardigan, pick up along the sides of the front and the neckline (behind) 198 stitches on no.7mm needles and work with the two threads together (one for each colour) as follows: work 3 rows of the rib stitch 1/1. Bind off loosely and thread in all the threads. Want another pattern for a pure wool sweater with a special pattern? The sweater with the cable bobble stitch is for you!